In 2016, wildfire devastated the town of Fort McMurray, Alberta. More than 80,000 residents were evacuated and 2500 buildings destroyed. Costing more than $9-billion in damages, it remains the largest and most expensive natural disaster in Canadian history. The pace and intensity with which the flames spread across the landscape was accelerated by the burning of dried peat bogs – once water-soaked deposits of decomposing moss which had historically served to slow or halt wildfire. But unprecedented drying in the region had turned these former wetlands into a tinderbox. Once ignited, the peatlands burned quickly, their large stores of carbon releasing into the atmosphere, fuelling the fire. For McMaster researcher Mike Waddington, the disaster at Fort McMurray is a stark reminder of the ways in which changing water resources are transforming ecosystems throughout Canada’s vast Boreal region, resulting in increased risks to people, industry and infrastructure. Waddington is leading Boreal Water Futures, part of the Global Water Futures* initiative. Working closely in partnership with stakeholders in government and industry, as well as with NGOs, he and his team are working to better understand the changes taking place in the Boreal region, and provide decision-makers with tools to help them predict, plan for, and manage water resources and water-related risks. To do this, Waddington has brought together a multidisciplinary team of researchers with diverse areas of expertise from forest and wetland ecosystem health, to water governance in urban and industrial settings. He is also working closely with multiple stakeholders including Natural Resources Canada and Alberta’s Ministry of Agriculture and Forestry, among others. 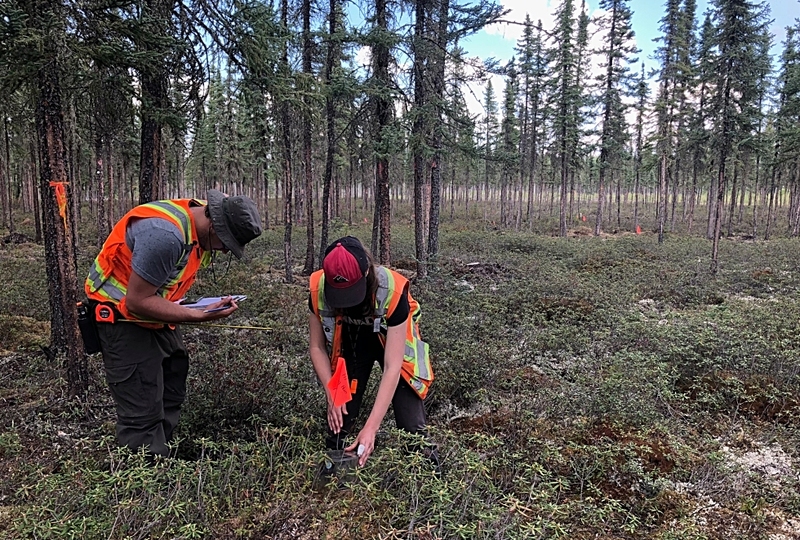 McMaster PhD student Sophie Wilkinson is collecting data on an area of peatland in northern Alberta. In addition, Waddington and his team have developed a pan-Boreal Observation Network, spanning Yukon, Alberta, Ontario and Quebec, to collect and track water data including precipitation levels, the amount of water lost to the atmosphere through evaporation and transpiration, and watershed run-off. Researchers are working collaboratively with stakeholders on a range of issues including water use in the mining industry, as well as on projects related to source water protection and habitat preservation. There are also a number of projects related to wildfire – the largest research component of Boreal Water Futures. “Wildfire is the primary source of disturbance in the Boreal Forest and needs to be addressed because, as we’ve seen with the B.C. 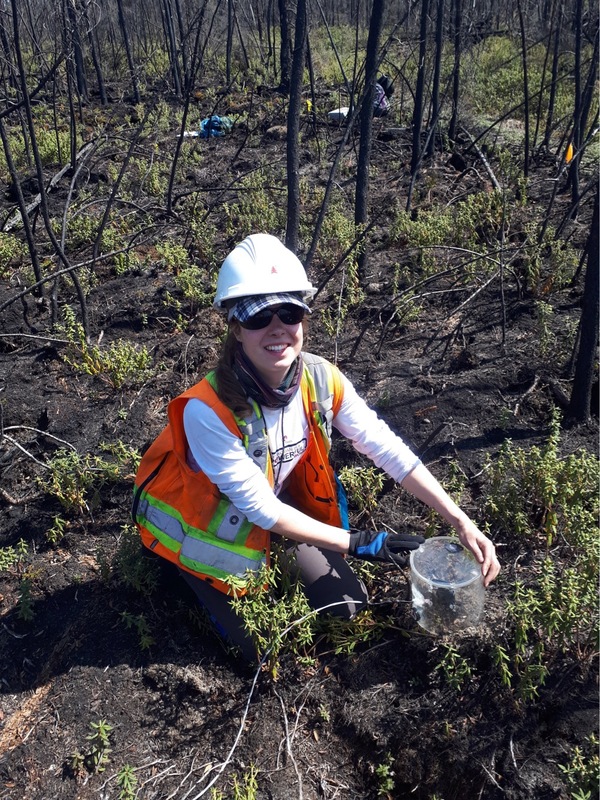 fires and at Fort McMurray, it can be very damaging and costly,” says McMaster PhD student Sophie Wilkinson who is leading a project in partnership with Fire Smart Canada, aimed at developing strategies to reduce the severity and spread of wildfires in drying peatlands. Working on an area of black spruce peatland northeast of Slave Lake, Alberta, Wilkinson is exploring whether the pace and intensity of wildfire can be slowed by using forestry techniques such as hand-thinning – reducing the number of trees and removing low-hanging branches that can fuel high-intensity canopy fires. As well, she is investigating the effects of wood mulch – a product of the hand-thinning, which is spread on the peatland ground cover. Wilkinson is testing whether wood mulch could be effective in reducing ground fire intensity and preventing it from penetrating down into the dried peat, which is vulnerable to smouldering and can burn underground for weeks, months and even years, posing a hidden fire hazard. 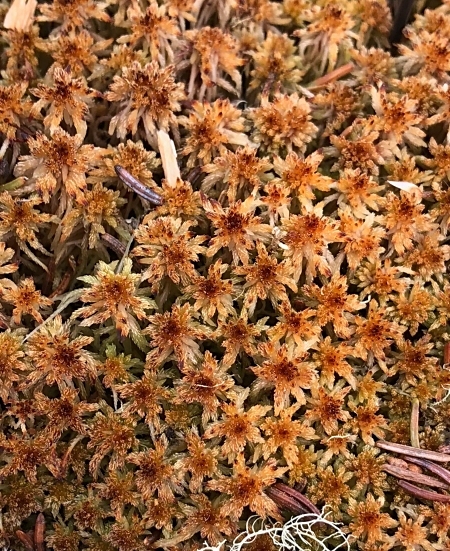 An example of healthy Sphagnum moss growing in a peat land. “Healthy peatlands are usually dominated by Sphagnum moss which is really good at holding onto water and can actually act as a firebreak on the landscape,” says Wilkinson. However, she adds, many peatlands are becoming increasingly fire-prone as a result of both drier conditions, as well as the expansion of feather moss – a moss species which retains less water and can burn more easily. Mike Waddington says research insights gained through this and other Boreal Water Futures projects will ultimately lead to new strategies, adaptation methods, and prediction models that will help decision-makers and the public understand and respond to the increasing water threats in the Boreal – now and in the future. “What makes the Boreal Water Futures projects unique is that they’re stakeholder-driven, and by working closely with stakeholders we’re making sure our research gets into the hands of those that can use it, and can lead the solutions that are needed,” he says. *Global Water Futures(GFW) is aimed atdelivering risk management solutions—informed by leading-edge water science —to manage water futures in Canada and other cold regions where global warming is changing landscapes, ecosystems, and the water environment. GWF includes researchers from The University of Saskatchewan, McMaster University, the University of Waterloo, and Wilfrid Laurier University. McMaster is hosting the inaugural GWF Annual Science Meeting from June 3 – 6, 2018.